Burial photo with a splendid funeral carriage at the main entrance gate, c. 1890. Courtesy Archivo General de la Nación. Things have changed since this blog began in 2007. Few knew what a drone was in those days & probably never suspected they could be acquired by civilians to give us a new perspective on cities we know & love. AirPano has done just that. Their story of recording footage in Buenos Aires was spot on… nope, those warnings are not to be taken lightly! 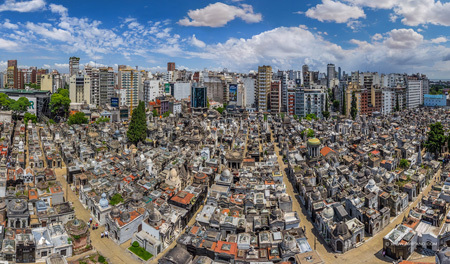 Click here for the full 360º aerial experience of Buenos Aires. 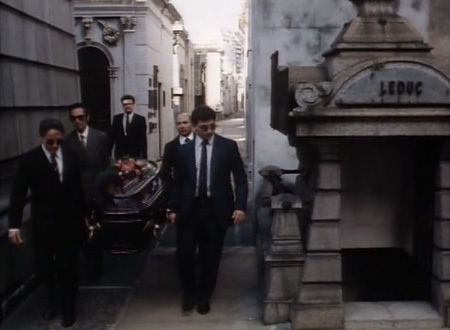 #4 is Recoleta Cemetery. Thanks for sharing, AirPano! 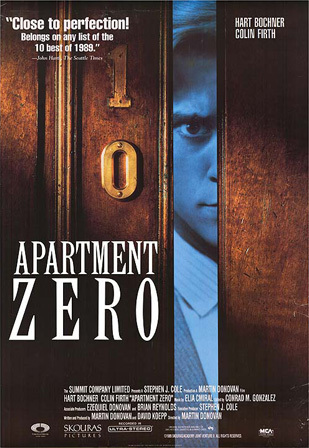 Filmed in Buenos Aires in 1988, Apartment Zero features a very young Colin Firth as Adrian Leduc—a reclusive cinema buff with a mentally-ill mother. American Jack Carney, played by hunky Hart Bochner, answers a newspaper ad to share Adrian’s apartment & everyone in the building falls for him, including Adrian. 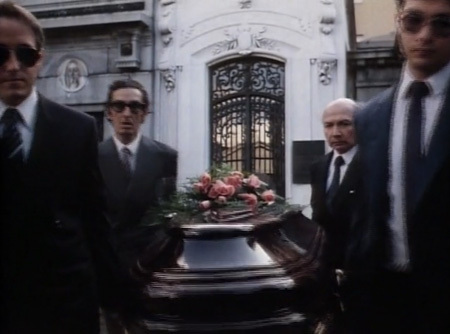 Of course, no 1980s movie based in Argentina would be complete without a Dirty War subplot. 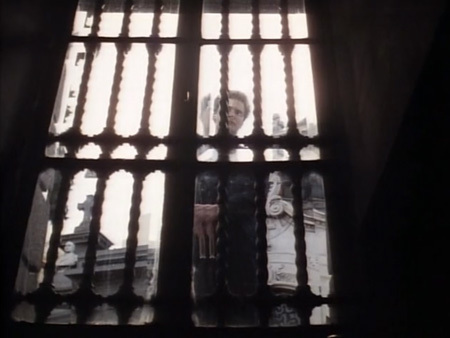 I’ve read that Highlander 2 used the cemetery for a single scene, but I’ve yet to find the footage. Know of any other movies filmed here? Let us know! 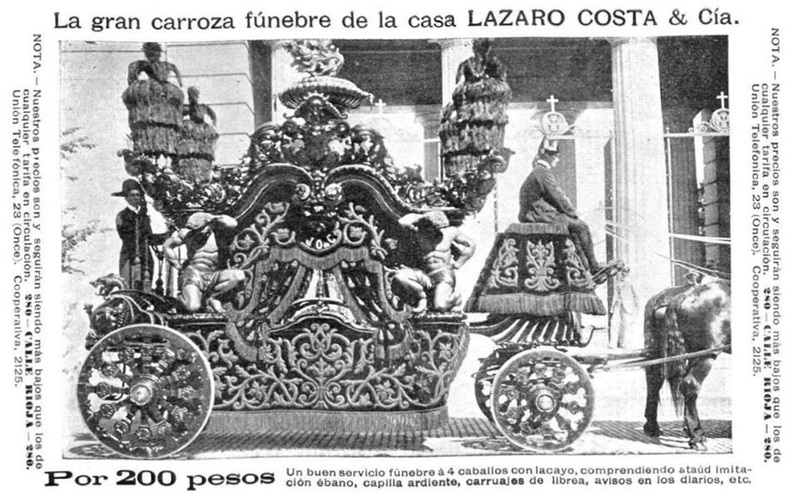 For 200 pesos, a good funeral service with four horses & a footman, including an imitation mahogany coffin, open casket service, liveried carriages, notices placed in newspapers, etc. Although a friend sent me this photo & did not record the publication date, surely this is from the early 20th century. Assuming this could be from 1915, 200 pesos would be the equivalent of $83 USD, or $1,930 USD in today’s currency! 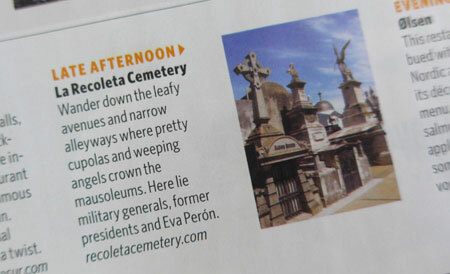 Every so often, I’m surprised by people’s interest in Recoleta Cemetery. Most appreciate its beauty as well as enjoy Argentina’s history condensed into four city blocks. And many people admire the cats… but no one loves them more than Blake. Blake Kuhre contacted me several months ago about his plan to make a documentary telling the story of Recoleta Cemetery’s most famous living residents. Marcelo did some investigation as to their well-being & care several years ago, but Blake went even further. He actually managed to interview the woman who organizes & pays for keeping the cats healthy & happy. Access we couldn’t get in 2010! 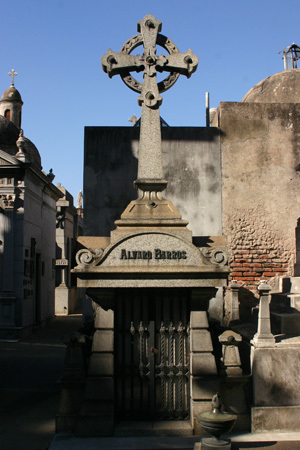 Visitors from all over the world visit Recoleta Cemetery expecting to just pop in and see a few famous tombs, take in the gorgeous architecture, then check it off their list and move on to their next spot. But before they leave, so many are smitten with the dozens of friendly cats that have been part of Recoleta Cemetery for many years. How did they get there? Who’s taking care of them? How can I help? These were all questions we asked ourselves 7 years ago when we first visited, and it killed us to return home to the US, back to our day jobs, all the while wondering and wishing we had closure. 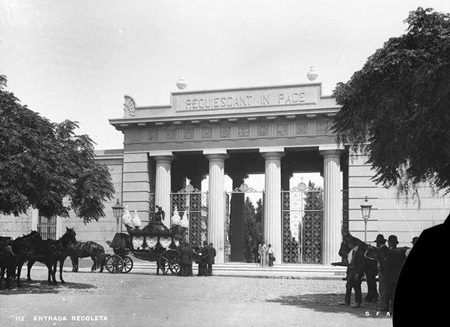 By contributing to our campaign, you’ll help help preserve the legacy of the Guardians of Recoleta for many years to come. We say “Guardians” because cats are very independent and no one actually “owns” them, the cats themselves are de facto guardians of the cemetery, our main character has been their Guardian for 20 years, and you’ll also become a Guardian by contributing to our campaign. Ideally, we’d like to see every cat adopted but the truth is even if this goal were achieved, people will still use Recoleta Cemetery as a dumping ground for their unwanted felines. Your donation will help get our documentary made and distributed, spread awareness to the situation and cause, champion pet adoption, TNR, and help us establish & partner with a Buenos Aires non-profit to ensure every cat will continue to receive care. 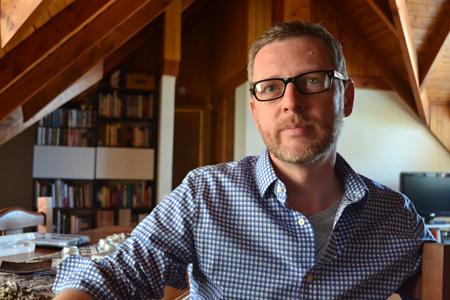 With three weeks left for the campaign, Blake’s project became a Kickstarter staff pick and was featured in the Film & Video category. 25% of funds have been raised as I write this… please help spread the word & contribute!! I’ll be donating as well as giving an exclusive tour of the cemetery for some lucky contributors. 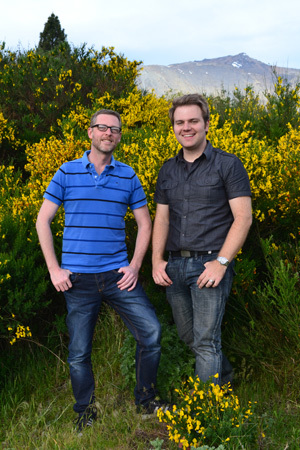 Update (24 Nov 2014): With funding secure, Blake got to work scheduling interviews. 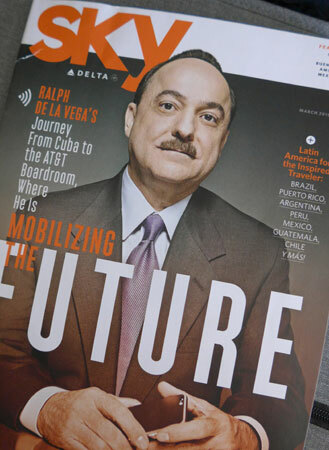 I offered to fly to Buenos Aires, but he had a better idea… why not film my interview where I live? Brilliant. 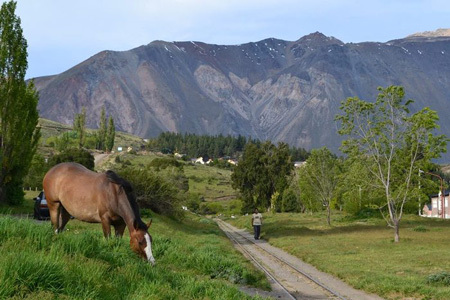 Blake spent only one evening in Esquel, but I was able to show him a little of what makes Patagonia special. 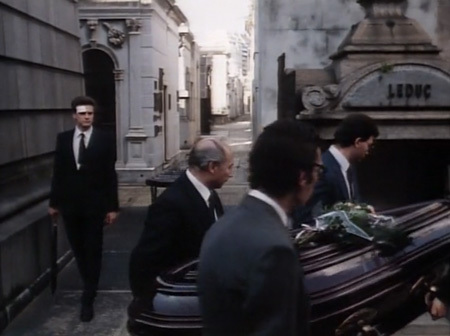 The scenery will be a good counterpoint to the cemetery, & I’m happy about my first big screen appearance! …That practice [catch, neuter & rerelease] has fueled debate, and another documentary, “Guardians of Recoleta,” by Blake and Adrienne Kuhre, explores an alternative. 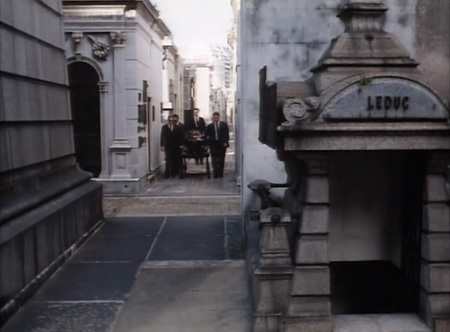 The film looks at feral cats in Buenos Aires, particularly the doted-on “guardians” of a major tourist attraction, the Recoleta Cemetery. Well-meaning Americans take some of the cats to Chicago, converting them to indoor pets, with decidedly mixed results.